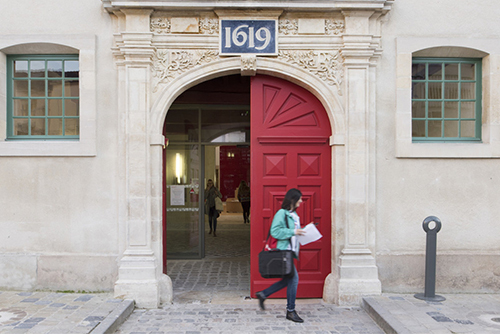 Sciences Po has established several admission procedures for the Undergraduate College, to attract the most diverse range of French and international candidates possible, whatever their background, experience, high school or home country. This diversity is a key part of what makes the Undergraduate College education so rich and unique. There are several admissions paths for the Undergraduate College. Before candidates start preparing their application, they need to determine which is the right procedure for their situation. The entrance examination (fr.) is mainly for candidates who are sitting the general or technological baccalauréat in the French education system in France. Candidates sitting the French baccalauréat abroad or who are studying for a school-leavers’ qualification recognised as equivalent may also apply through this procedure. The international procedure is exclusively for candidates who are sitting the French baccalauréat abroad or studying for an equivalent foreign school-leavers’ qualification. Candidates can choose to apply either through Sciences Po or through the partner university. Whichever procedure is chosen, a single review of applications and round of interviews serves both institutions. Find out more about the conditions of eligibility for dual degrees in Paris (fr.). Procedures for admission to international dual degrees vary according to the programme. Find out more about admission procedures and conditions of eligibility. To participate in the Undergraduate College exchange programme, Bachelor’s students from our partner universities must be proposed by their home university and accepted by Sciences Po. Limited financial resources are not a barrier to receiving a Sciences Po education. Nearly one in three students receives a full-fee scholarship.